With a commitment to personalized service, it makes sense that our process begins with a conversation. We want to know the highlights from your past visits to Napa Valley, your proclivities for certain varietals and which bottles are most treasured in your cellar. Our relationships with top-tier, small-production and off-the-beaten-path wineries are what set ACCESS Napa Valley apart from other car services. 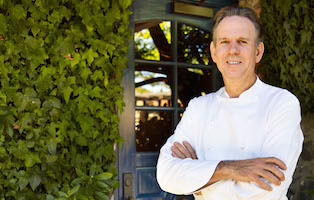 Drawing from these special connections, ACCESS Napa Valley specializes in curating itineraries that often include highly personalized experiences. In the interest of preserving our winery relationships – and ensuring your comfort – the first thing you can expect from us is direct communication aimed at setting the right expectations and ensuring a wine tour experience that’s ideally tailored for you. 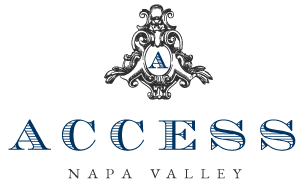 Throughout the planning of your Napa Valley wine tour itinerary, ACCESS Napa Valley will be fully transparent with you about anticipated wine tasting fees as well as any minimum-purchase expectations. Our goal is two-fold: we aim to preserve our relationships with the special wineries we visit, but moreover, we want you to feel relaxed and comfortable, without any unexpected sales pressure. A $200 deposit is required to secure your reservation with ACCESS Napa Valley and allow us to begin the process of curating your private wine tour itinerary. Please understand that while we are happy to discuss wineries that are already on your personal wishlist, until we have confirmed your tour date with a deposit, we will refrain from making specific recommendations. This is partly because winery availability is never ours to promise; but moreover, our personalized winery recommendations and itinerary planning services are the greatest value that we have to offer our guests. Your credit card will be used to secure all winery visits and you will be advised of any upfront charges. Upon securing tour date(s) with a deposit, the following cancellation terms will apply: When cancellation notice is received 48+ hours prior to scheduled charter, deposit is non-refundable, but may be applied towards a rescheduled reservation within one year. Cancellations are not accepted within 48 hours of the scheduled pickup time, and client will be charged the 5-hour minimum (weekday) or 6-hour minimum (weekend) as applicable.